Multimedia News Stories – ACC Interactive Media Arts Student Blog! Assignment tag for Murray’s Journalism 1 class. 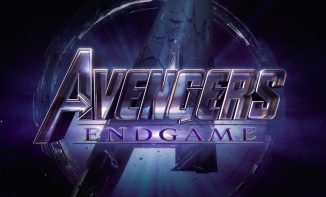 Less than one month away from The Avengers: Endgame movie here is what we know so far. 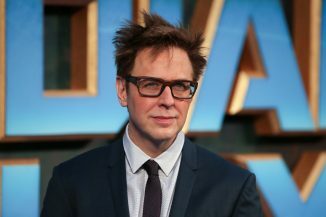 Disney rehires controversial Director James Gunn. James Gunn has been Rehired and Reinstated as the director of Marvels: Guardians of the Galaxy 3. 2 Comments	Disney rehires controversial Director James Gunn. 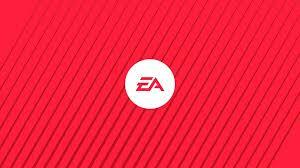 Interactive films: Is it a new genre ? LIGHTS! CAMERA! ACTION! Science and Arts move parallel to each other. Artist has used the advancement in science and technology for their own creative ideas. Same goes for films. Technological advancements in camera got us technicolor cinema. The art of storytelling has also evolved in a certain way, from traditional musical, comedy movie genres to the genre of psychological thriller, non-linear storytelling. Technological advances made in the smartphone industry and on the internet has brought us the streaming services like Netflix, which brings content directly to the hands of users. With this, a new way of storytelling is evolving, interactive films. 3 Comments	Interactive films: Is it a new genre ? As the school year comes to an end, many students find themselves encumbered by tests and projects that pile up on top of each other, leaving students struggling to prioritize which assignments they should channel more effort into. Figuring out priorities can be a struggle for people of any age. Whether it’s balancing work and family life, or your personal wellbeing over tasty junk food, but it’s this time of year that students’ ability to prioritize is truly tested by several combinations of exams to study for and assignments to work on. Every student seems to have their own way of dividing effort among their assignments, but many struggle to find a method that really works on every level. Instructor Erin Cox says to “start with a list and prioritize all the tasks you need to complete for your individual assignments… first based on the deadlines, then by order of importance, and how you decide on the importance is really ultimately up to you.” Ultimately, it seems that focusing on deadlines is the most important way of prioritizing, but what do you do when all of your assignments are due on the same day, as they often are? Ultimately, while the weight of assignments and deadlines are important, when it comes down to it, personal health takes priority over all. Our family pets, like dogs and cats, have become important in our lives. They are there to comfort us when we are feeling down, entertain us with their funny moments, and most of all they have become our family. However, there are animals out there that are being mistreated or worse abandoned, and not getting the same love or have the same comfort of living in a safe environment. This is why humane societies such as the Brandon Humane Society are around to bring these mistreated animals in and give them a second chance of finding a forever home. With the new seasons fast approaching, there are some people who are happy to see the snow leave. The rising temperature mean that getting outside is becoming more and more accessible to people. But for some, there are more than a few reasons to be apathetic about the upcoming seasons. For some, allergies are a real reason to hate the spring time. Irritants like pollen and dust can make it hard to appreciate the beauty of the spring time. When it gets warmer out, things like mold and mildew can be especially aggravating to people. Newsline asked this man about how his allergies affect his life. This is what he had to say. Of course, there are many ways that you can help keep yourself happy and healthy when your allergies start to act up. Here are some precautions that you can take to make sure that you stay safe this spring season. Understand when pollen is active. Try to avoid staying outside for excessive amounts of time from around 10 AM to around 4 PM. This is when pollen is most likely to be active. Taking a shower after you come back from being outside is a good way to keep your indoors clean of any irritants as as well. Keeping your grass mowed and short ensures that anything caught in it will be swept away by the wind, keeping your healthy and your lawn looking fresh! People should use their blinker. How do work and sleep affect a students mental health? Sleep and stress, how does that effect a student mental health and why it should be looked upon? How citizens of Brandon can deal with the dangers of potholes during this time of year.